OSPIRG is a 35-year old advocacy organization, with a full-time legislative presence at the capitol, tens of thousands of members across Oregon, and an online activist network of thousands of people. 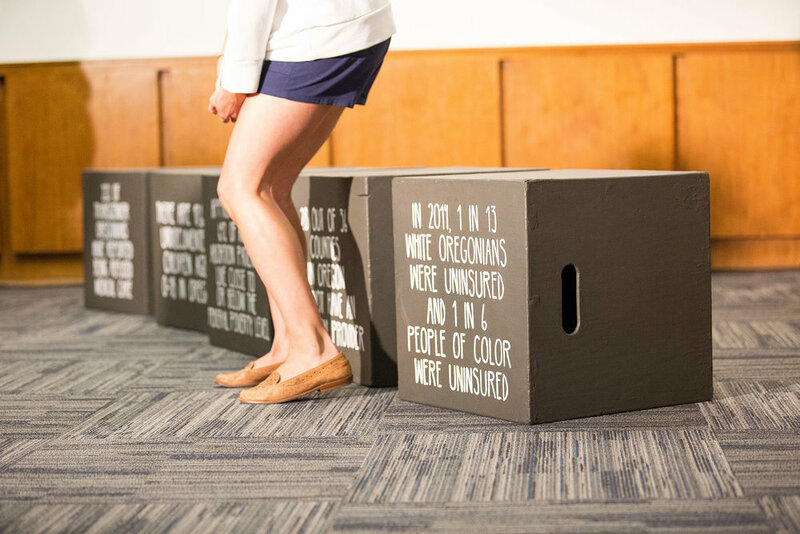 In 2009, OSPIRG collaborated with Oregonians for Health Security (OHS), a leading voice in healthcare advocacy in Oregon, to split a one-year, $40,000 grant. The funding enabled the two groups to reach out to 30,000 Oregonians at community events, on the phone, online, and through media – all in an effort to mobilize support for a legislative bill to improve access to health care for all Oregonians. Influenced by this, and fifteen other healthcare advocacy efforts funded by the Foundation, the Oregon Legislature passed two bills that are expected to cover 95% of Oregon’s uninsured children and extend coverage to an additional 35,000 low-income adults while instituting a reformed model of healthcare delivery for Oregonians. “This may be the most important piece of legislation that we pass out of this building this session. This is a good deal for Oregon,” said Senator Alan Bates (D-Ashland).